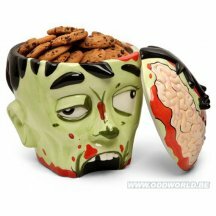 Do you think that if zombies had enough presence of mind to cook, that they'd bake things out of brains? 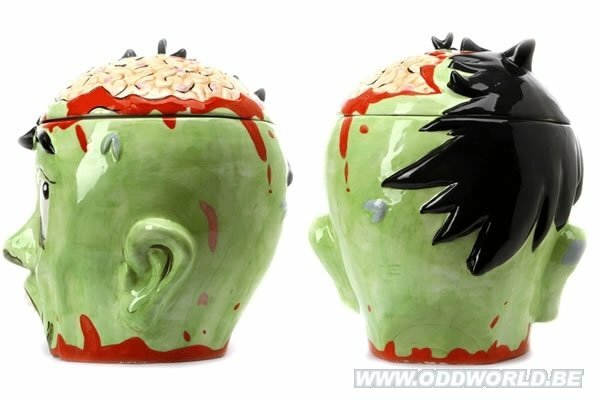 We can imagine there being zombie bakeries, where they whip up brain-shaped cupcakes with frosting made from blended parietal lobe. (Don't knock it until you've tried it. It really adds a certain zing to cream cheese frosting. Way better than nutmeg, IMNSHO.) 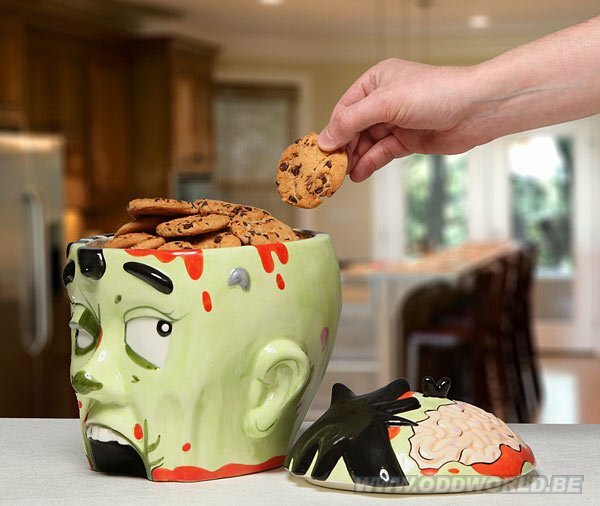 And of course, there'd have to be chocolate chip cookies with chunks of medulla oblongata. OMG, delish. 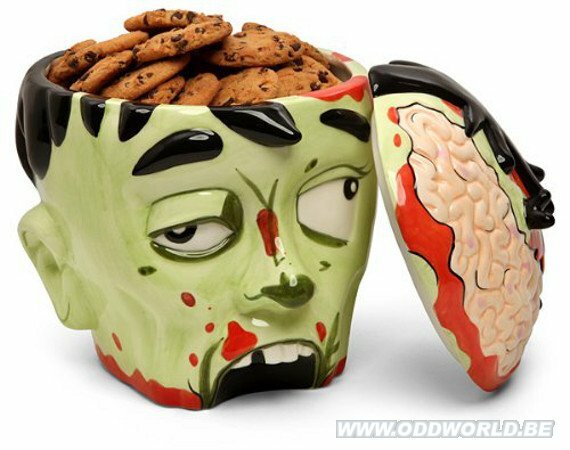 Just crack open this zombie head, reach inside, and grab some cookies. We recommend at least 3. You don't taste the first one, the second one is good but leaves you hungry, and the third one is the most satisfying. Maybe four cookies if you're extra hungry, but five is right out. You want to stay fit enough to do your cardio. •Lift off the top of his head to reach in for cookies - if you dare!